Multipurpose fiber optic termination box FTBX is designed to provide a flexible platform to address the multitude of applications that exist in residential and commercial FTTx installations. Can be deliver with pre-installed SC adapters. Easy to install and is capable of being mounted directly to standard electrical junction boxes or directly to wall. FTBX-SMC-P-24-NN Fibre Termination Box with SMC material on Pole cable 24 Drop cable Adaptor Unload. FTBX-SMC-P-24-S1 Fibre Termination Box with SMC material on Pole cable 24 Drop cable SC/APC. FTBX-SMC-P-24-S2 Fibre Termination Box with SMC material on Pole cable 24 Drop cable SC/UPC. FTBX-ABS-P-24-NN Fibre Termination Box with ABS material on Pole cable 24 Drop cable Adaptor Unload. FTBX-ABS-P-24-S1 Fibre Termination Box with ABS material on Pole cable 24 Drop cable SC/APC. FTBX-ABS-P-24-S2 Fibre Termination Box with ABS material on Pole cable 24 Drop cable SC/UPC. FTBX-SMC-W-24-NN Fibre Termination Box with SMC material on Wall cable 24 Drop cable Adaptor Unload. FTBX-SMC-W-24-S1 Fibre Termination Box with SMC material on Wall cable 24 Drop cable SC/APC. FTBX-SMC-W-24-S2 Fibre Termination Box with SMC material on Wall cable 24 Drop cable SC/UPC. 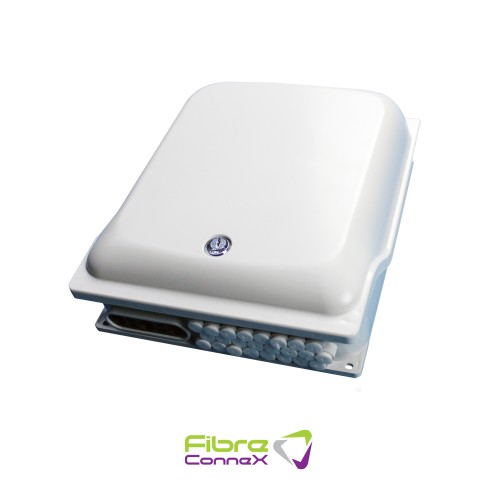 FTBX-ABS-W-24-NN Fibre Termination Box with ABS material on Wall cable 24 Drop cable Adaptor Unload. FTBX-ABS-W-24-S1 Fibre Termination Box with ABS material on Wall cable 24 Drop cable SC/APC. FTBX-ABS-W-24-S2 Fibre Termination Box with ABS material on Wall cable 24 Drop cable SC/UPC.